I got a chance to sit down with actress/ writer, Greta Gerwig (Frances Ha) to discuss her new film, “Mistress America.” We talked about admiring people, the awkward “friend zone”, and more! “Mistress America” opens in theaters August 28. DALLAS (August 24, 2015) – The Dallas Film Society has announced that the 10th annual Dallas International Film Festival will take place April 14 – April 24, 2016. The film society is now accepting submissions for the Festival. The early deadline is Friday, October 16, 2015, the regular deadline is Friday, December 4, 2015 and the late deadline is Friday, December 11, 2015. DIFF is one of the fastest growing festivals in the world and has brought over 250,000 film lovers together to view over 1,680 films from more than 50 countries. DIFF has consistently featured the finest cinema has to offer, including 95 world premieres and 31 US premieres to date. This past April, the festival successfully completed a marathon of 169 screenings with attendance surpassing 26,000. The 2016 festival will once again span 11 days and feature International Premiere screenings with red carpet entrances at theaters throughout the city, award presentations, filmmaker panels and other special events. The festival welcomes submissions for all categories. Grand Jury Prizes will be presented for Narrative Feature, Documentary Feature, Short Film, Animated Short Film, Student Short Film and Texas Film Competition presented by Panavision. Audience Awards will be given for Best Narrative Feature, Best Documentary Feature, and Best Short Film. Additional programming categories include World Cinema Latino Cinema Showcase, Deep Ellum Sounds (music documentaries), Family Films, and Midnight Specials. This year, DIFF has added the Mavericks category to its programming strand, presented by the L.M. Kit Carson Storyfinders Foundation. Last year, DIFF honored the life and career of the late Texas writer, actor and producer L.M. Kit Carson by featuring his 1983 film BREATHLESS and posthumously awarding him with the Dallas Star Award, accepted by his son, Hunter Carson. This year, DIFF will continue to honor his legacy with the Mavericks screening program, which will feature four groundbreaking and cutting edge films that spotlight unique cinematic voices breaking the rules of filmmaking to advance the art form. In addition, one Maverick filmmaker will be the inaugural recipient of the L.M. Kit Carson Maverick Filmmaker Award at Dallas Film Society Honors. Over the past nine years, DIFF has presented filmmakers with more than $740,000 in awards. This year, the winner of the Texas Film Competition presented by Panavision will receive a camera rental package valued at $30,000. Also, the Embrey Family Foundation will present The Silver Heart Award and a $10,000 cash prize to one inspirational filmmaker or film to honor their dedication for fighting injustices and/or creating social change for the improvement of humanity. Additionally, each recipient of a 2016 DIFF award will receive MOVIE MAGIC Budgeting and Scheduling software bundles from Entertainment Partners, which allows filmmakers to create and view production scheduling. Submissions are open on WithoutABox and Film Freeway. For more information and to submit films, visit http://www.dallasfilm.org/submit-your-film-for-diff-2016/. Questions can be emailed to submissions@dallasfilm.org. DARK PLACES marks the second film adaptation of a Gillian Flynn novel. And no, it’s not a GONE GIRL sequel. This film just proves once again that Flynn knows how to capture her audience with intricate story-lines that keep you on the edge of your seat. 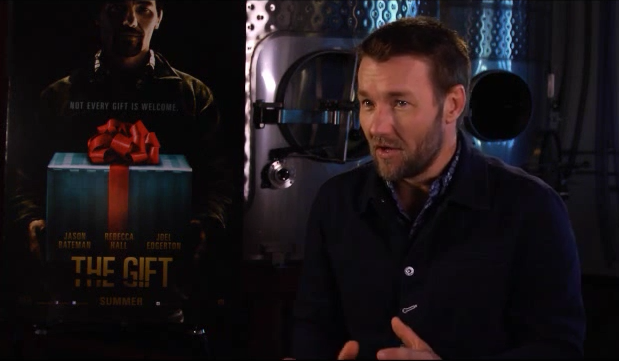 We sat down with triple threat star, Joel Edgerton (Director/ Writer/ Actor) to discuss his new film, “The Gift”. 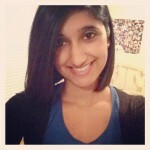 We talked about bullies, rumors and much more! There’s a reason why critics are loving this film. It’s the must see summer thriller! “The Gift” opens in theaters August 7.